NCSC's Safetypup® Costume is a perfect fit with Police Departments & Sheriff Offices across the U.S. The Safetypup® Costume, made of lightweight materials, offers increased mobility, comfort, and a lot of charm. Because our Safety Mascot is encouraged not to speak we’ve paid a great deal of attention to detail to make Safetypup®'s personality shine! 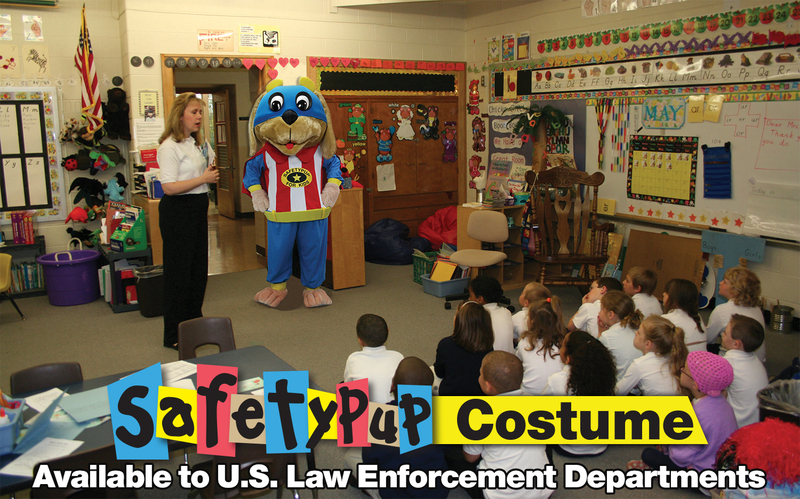 The Safetypup® Costume brings life to any event your local Police Department or Sheriff Office hosts or attends.